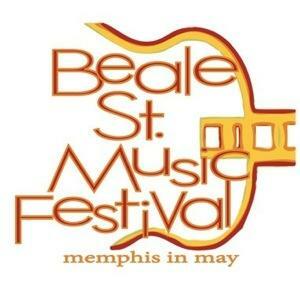 The long awaited announcement of this year’s Beale Street Music Festival was announced earlier today. The large, outdoor music festival is scheduled for April 29 through May first, and will take place at Tom Lee Park in Memphis, Tennessee. According to the Memphis in May International Festival website, there will be some big name bands and performers at this year’s event, which has cause a heightened anticipation amongst music lovers. Scheduled to appear that the music festival this year are John Mellencamp, Stone Temple Pilots, Wilco, MGMT, Godsmack, Lucinda Williams, Ludacris, Ke$ha and the Flaming Lips. Also, Cee-Lo Green, Bettye LaVette and blues guitarist Jimmie Vaughn are expected to play at the festival. With so many big name headliners anticipated at this year’s event, early passes have already been sold out. However, if you have not purchased your tickets yet, additional passes will go on sale today for $69, through April 18th. Also, single day tickets will go on sale for $30, saving you $7 off the cost of tickets at the gate the day of the concert. The Beale Street Music Festival is one of the biggest outdoor concerts in the country. With all of these famous bands and performers set to take the stage at this year’s event, music lovers are assured to get their dollars worth this year.